In March 2017, Senator Benjamin Cardin (D-MD) introduced the Israel Anti-Boycott Act into the Senate. This was in direct response to a U.N. Human Rights Council resolution urging companies to divest from Israel due to long-standing, and continuous human rights abuses committed against Palestinians. In addition, it reaffirmed U.S. commitment to the United States-Israel Strategic Partnership Act of 2014 by encouraging increased civilian cooperation between Israelis and Americans in the fields of technology and science. 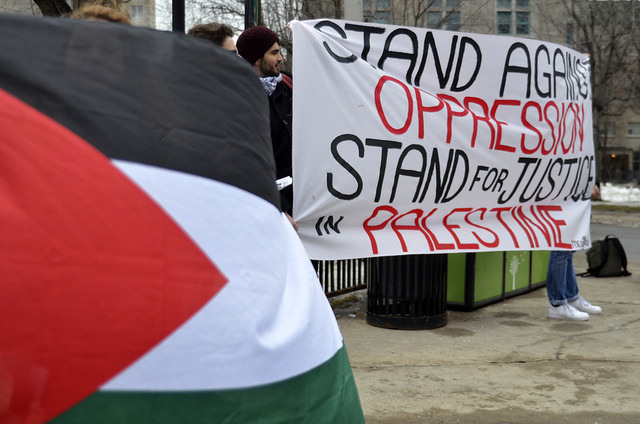 The boycott act prohibited restrictive trade policies against Israel, and U.S. residents from supporting boycotts of countries friendly to the U.S. The act ignored heavily documented human rights abuses, which are increasingly being condemned by the international community. It also criminalized free speech and political expression of opposing viewpoints. The act remained dormant in the Senate Committee on Banking, Housing, and Urban Affairs until this past March, when Senator Cardin and Senator Rob Portman (R-OH) reintroduced an amended version. Although, individuals would no longer be prohibited from and held criminally-liable for participating in internationally-led boycotts, American companies and organizations would face criminal financial penalties. The ACLU believes the amendment still infringes upon First Amendment rights, and is contradictory to American values and previous legal rulings which protect such political activities. This month following the horrific terror attacking in which Jewish people were gunned down in a synagogue, Jewish Insider reported Cory Booker (D-NJ) now supports The Anti-Israel Boycott Act, thus bringing the measure back into the forefront. Booker expressed concern over the national and global rise in anti-Semitism, including the “targeting of Israel and the Israeli people.” Booker reiterated his opposition to movements, like BDS, which he implies increase feelings of anti-Semitism. Let’s get one thing straight. The BDS movement, and dissenting against Israeli policies is not anti-Semitic, nor un-American. This past summer, 40+ Jewish groups worldwide signed a letter which recognized BDS as a legitimate political “tool and tactic” to dismantling oppressive policies. This provides a direct contradiction to the notion that BDS is somehow anti-Semitic in nature. The movement seeks to decrease support for a regime which oppresses Palestinians, not to disparage our Jewish brothers and sisters. The Israeli government is no more representative of the entire Jewish community than the Saudi government is of Muslims around the world. As Muslims, our religion calls on us to resist, and to speak out against social injustices and blatant disregard for human rights–no matter the country, religion, gender, or social standing of the concerned parties. We cannot stand idly by as our senators and representatives propose legislation which limits our freedoms of speech and political expression. The act disregards egregious, internationally-recognized human rights abuses against the Palestinian people. It’s not enough to wait for our newly elected Muslim leaders to fight our battles. We must mobilize on the grassroots level, and start inundating our nationally-elected officials with messages of dissent. This act is unhealthy for American democracy and un-conducive to freedom of speech, specifically political dissent and activism.